Serious Legal Experience for Serious Injuries. If You've Been Wronged, We're Here to Make It Right. At Lilly & Brown, LLP, our primary focus has always been our clients. Our personal injury lawyers have the experience you need representing people who have been harmed, injured, or prematurely killed because of the negligent actions of others. When you hire Lilly & Brown, LLP, you work with a professional team of attorneys who have achieved a number of accolades. 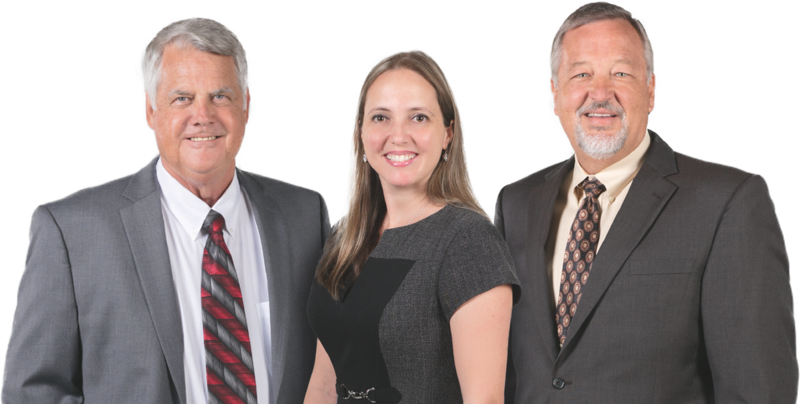 We have helped countless injured victims throughout Central Florida achieve maximum compensation in nearly every type of personal injury accident. Not only do we know your rights, but we can help you understand them as well. When you know what you are entitled to under the law, the legal process can feel much less intimidating! We can do the legal legwork so that you and your family can receive the ultimate justice that you deserve. Get a team of award winning attorneys working for you. Call today to schedule your free consultation—we can even come to your home, office or hospital. What Type of Accident Have You Suffered From? Read testimonials from past clients to learn how we’ve helped past clients receive their due compensation after suffering a personal injury. We have secured multi-million dollar verdicts and settlements, putting our experience and premier skill toward our clients’ good. Lilly & Brown, LLP is prepared to handle your case as well! The legal system can be confusing, but you're not alone. At Lilly & Brown, LLPwe've got the experience you need to make the justice system work for you. Our attorneys walk with you every step of the way. Our firm’s approach is results-oriented, disciplined, and aggressive while demonstrating the utmost respect for procedure and ethics. Our attorneys are versatile and innovative, with a broad range of trial experience. If you need experienced, client-committed attorneys to aggressively represent you, call Lilly & Brown, LLP. We want to do everything in our professional power to help you get the care that you need to address your needs after suffering from an accident. At Lilly & Brown, LLP, you can feel confident knowing that you are in the professional hands of a legal team that values, upholds, and supports your rights. We advocate on behalf of injured victims in our community so that they can feel empowered to move on after an accident toward a happier and healthier future. Contact our professional team immediately to request your free consultation! Unlike other firms where a consultation may occur with an assistant or paralegal, you can meet directly with one of our firm's attorneys. If you cannot travel to one of our conveniently located offices, we can come to you. It does not cost you anything to speak with a lawyer who can share insight into your case. When legal information can be available to you without cost or obligation, what do you have to lose?